Attorney Gualberto Garcia Jones, who represents the Holy See Mission in its role of observer nation to the Organization of American States (OAS), writes at LifeSiteNews the Senate will gain its most consistent advocate for life and family issues if Moore is elected on December 12 to Alabama’s Senate seat vacated by now-Attorney General Jeff Sessions. 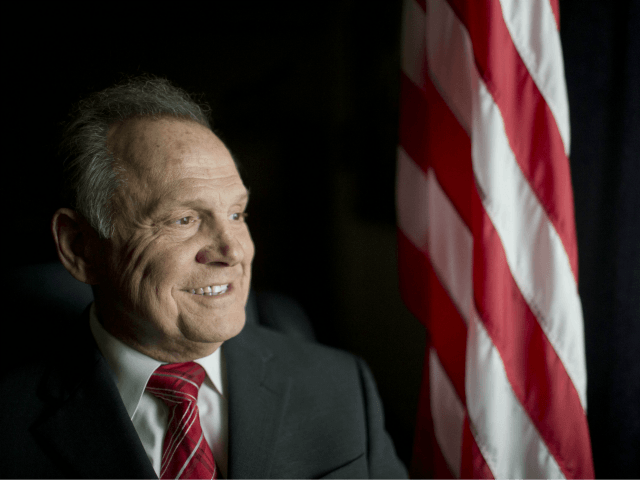 Moore is running against Democrat Doug Jones, who shares failed presidential candidate Hillary Clinton’s extreme view that unborn babies have no constitutional rights until the day of their birth. The Democratic Senate candidate recently told MSNBC he is a “right-to-lifer” — once a baby is born. “In the United States Senate, Roy Moore will surely be a bright lamp shining on The Hill,” Garcia Jones concludes.